BLV 70w, 150w, 250w, 400w & 1000w Single and Double Ended Halide Lamps. 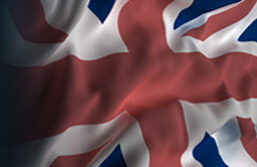 - Very High Colour Temperature. - High Colour Stability over the entire lamp life. - Optimum Aquatic Light Spectrum. - Light conditions correspond to ocean conditions in water depths of approximately 0 -10mts. - The higher the colour temperature, the greater the simulated depth of water. - Coral Growth is strongly stimulated. 14,000k (kelvin) White with a tinge of Blue. 16,000k (kelvin) White / Blue. BLV 70w/150w Double Ended Nepturion Halide Lamps for 150w Rx7s Lampholders. 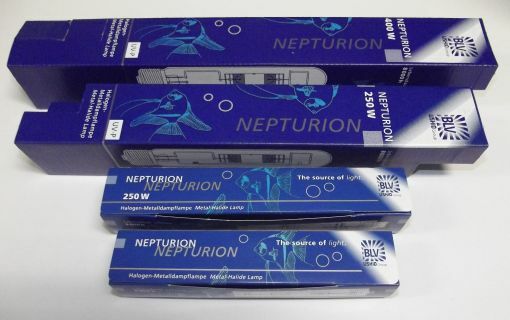 BLV 250w Double Ended Nepturion Halide Lamps for 250w Fc2 Lampholders. BLV 250w/400w Single Ended Nepturion Halide Lamps for E40 Screw Thread Lampholders.